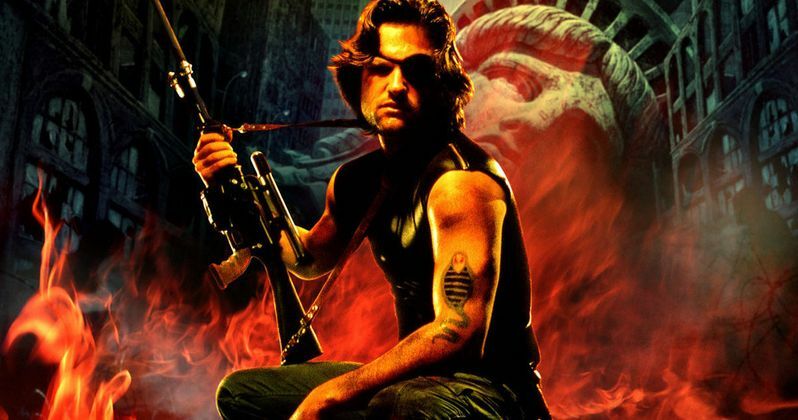 20th Century Fox's Escape from New York remake has been gestating for a while, but now it is officially moving forward with a script from the creator of hit BBC crime series Luther. Neil Cross has been tasked with creating the foundation for a reboot that is comparable to 20th Century Fox's Rise of the Planet of the Apes franchise, which continues in 2017 with War of the Planet of the Apes. Andrew Rona and Alex Heineman are producing this revamped version of Escape from New York. Escape from New York is in development under The Picture Co. banner. The movie will be based on John Carpenter's seminal 1980 cult hit of the same name. The genre director co-wrote the original screenplay with Nick Castle. The story follows Kurt Russell's iconic character S.D. Bob "Snake" Plissken. It is set in an apocalyptic future where Manhattan has been turned into an island-sized maximum security prison. Snake is sent into retrieve the President of the United States, who has crashed into this decaying city. The original movie was set in 1997. At this time, there is no word on who may replace Kurt Russell as Plissken. The Escape from New York remake is suddenly a high priority at 20th Century Fox, who suffered a major blow this summer when their Fantastic Four reboot proved to be a substantial bomb. They are looking towards the Rise of the Planet of the Apes franchise as a way to move forward with this futuristic tale, as that series has become both a critical and commercial hit for the studio. It isn't known if, like that movie, this will be a prequel that features Snake in a completely different adventure, or if it will follow the same rescue of the President plotline. John Carpenter, who directed the original movie and its 1996 sequel Escape from L.A. is creatively involved in this remake. He is serving as an executive producer, but it isn't known how substantial his contributions will be. Or if he will directly work with Neil Cross in crafting the screenplay. The Escape from New York title and character rights were originally with Studiocanal before moving to 20th Century Fox. Mike Ireland will oversee the project for the studio. Neil Cross reportedly beat out a number of other high profile writes for the job. Not only did he create the popular series Luther, which turned Idris Elba into a superstar, he is also an accomplished novelist. He doesn't often accept feature film work. He did work on the 2013 horror hit Mama, which starred Jessica Chastain. He also contributed to the movie Pacific Rim.